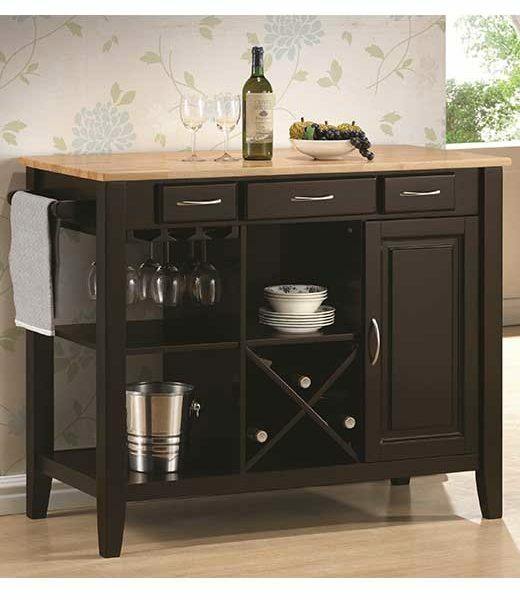 This kitchen island is crafted with a solid rubberwood with a butcher block work surface. Finished in natural and cappuccino, it a sophisticated piece for preparation in a kitchen or a server in a dining room or breakfast nook. 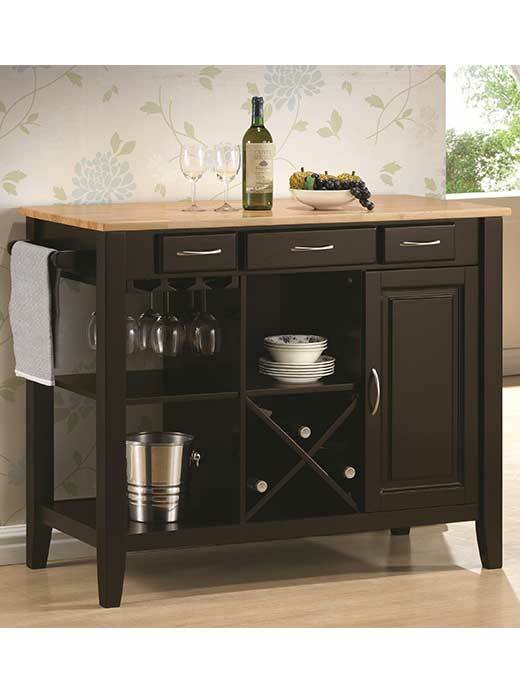 This kitchen island is crafted with a solid rubberwood with a butcher block work surface. Finished in natural and cappuccino, it a sophisticated piece for preparation in a kitchen or a server in a dining room or breakfast nook. Make the most of its three drawers, shelving with a stemware rack and a wine bottle holder, door with storage inside, and towel rack to store dishes, silverware, and more.